Need to kick-start your online business success with a content management system, website, e-commerce, blog, forum or photo gallery? Deploy a Netsonic JumpBox App Server to power or enhance your website today. Don’t have a tech savvy person on your team? Need a website built affordably, but you have zero coding knowledge? The extensive JumpBox virtual appliance library makes it possible to do it all yourself. A JumpBox app is a virtual appliance for popular open source applications. JumpBox apps will have you up and running in minutes without any complicated setup. The application is preconfigured, integrated and ready to download. Then easily deployed within an on-premise cloud hosted environment. The app is managed from your web hosting interface, you do not have to handle the installation, configuration and setup tasks. As there is no software, the resources and time required for periodic updates and version control is eliminated. 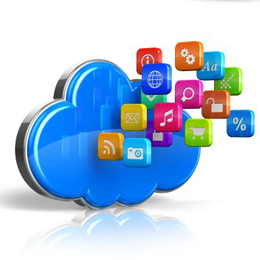 The app is installed onto one of our robust cloud servers for best performance, security, reliability and scalability. Engineers, with years of IT application tuning experience, created the JumpBox applications. JumpBox apps were built based on research and best configuration practices, so you can benefit from the software instead of maintaining it. JumpBox has the world’s most complete selection of ready-to-use open source server software, containing more than 55 different applications, making it easy for you to find a match to fit your website needs. You can deploy your virtual application and access instantly from any device with a web browser and remote console. Each JumpBox application includes a management interface. This interface is called the admin portal, it allows you to perform the most common admin tasks. You can change host name, configure email relaying, enable SSH/SFTP, install an SSL certificate, turn on stats or configure automated backups. Great for testing new apps, plugins, configurations, development and experimentation. You can deploy as many applications as you need. Netsonic wants to make it even easier to deploy a JumpBox app by allowing you to launch the application directly into one of our cloud servers. Once deployed a JumpBox app delivers a fully functional instance of that software application. Simply select the JumpBox application you want deployed on your Netsonic cloud server at the time of purchase, allocate the necessary resources needed, and your app will be enabled instantly within your new cloud server!